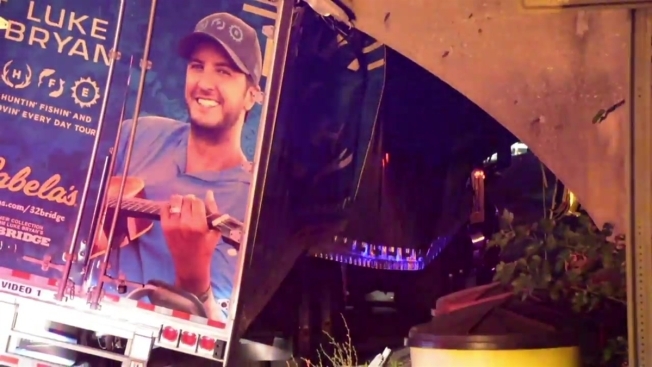 The accident happened hours after Luke Bryan performed at Jones Beach Theatre as part of his "Huntin' Fishin' and Lovin' Every Day Tour"
Raw footage from the scene shows the truck, bearing a large photo of Bryan holding a guitar on the back, stuck underneath the overpass. The middle of the tractor-trailer appears crushed like an accordion as a number of law enforcement officials flood the area. An equipment truck from country music star Luke Bryan's tour crushed like an accordion after striking an overpass on a Long Island parkway early Monday, according to officials and raw footage from the scene. The tractor-trailer somehow got wedged beneath the Sunrise Highway overpass on Wantagh State Parkway around 2:30 a.m., hours after Bryan performed at Northwell Health at Jones Beach Theatre as part of his "Huntin' Fishin' and Lovin' Every Day Tour," according to Newsday. It wasn't clear if anyone was hurt, nor was it clear if any of the equipment inside the truck was heavily damaged. Ordinarily, tractor-trailers are not permitted on parkways, but Newsday says special permits are often issued for vehicles associated with performances at Jones Beach theater. Details regarding the accident and permissions surrounding Bryan's tractor-trailer remain unclear. At least two lanes of the northbound parkway were closed for hours while authorities investigated. Bryan's Monday performance wrapped up the New York leg of his tour. 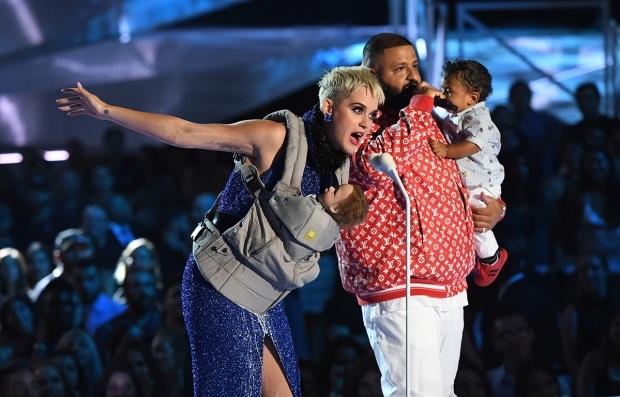 He heads to Philadelphia for a number of concerts early next month.